 The Moon unleashes restless Sagittarians. If you have been considering trying something really crazy like night skydiving, then the lunar energy imbuing the sign of the Archer will endow you with extra courage and improve your physical skills. If you are not ready for a reckless adventure yet, then besides putting your physical skills to the test you may just as well broaden your intellectual horizons - visit a local museum to see art but go there alone to get the most of your art experience. Or, search for museums that offer virtual tours to explore their art collections with a few clicks of your mouse.